Each February, Black History Month commemorates the unique American experience of Blacks in America. This year marks the 400th anniversary of the Jamestown, Virginia arrival of captured and shackled Africans. In the ensuing years, as slavery grew, so did the wealth of those who claimed our forefathers as ‘property’. By April 12-13, 1861, the wealth built on slave labor was forcefully protected with the Battle of Fort Sumter, considered by historians to be the start of the Civil War that lasted until 1865 and the war’s end. Slavery’s iron shackles that bound women, children and men may be gone. But in today’s America, the iron has been replaced by a different kind of shackle, just as debilitating as iron: predatory debt. Abundant research has shown that payday and car-title lenders trap people in debilitating debt that can trigger a series of negative consequences: overdraft fees, the loss of a bank account, loss of personal vehicles and even bankruptcy. People struggling to repay these loans have been reported to forego daily living needs or needed medical treatments. So, it is indeed troubling that in 2019, that under the Trump Administration, the federal agency with a designated mission to provide consumer financial protection took an about-face to protect predatory lenders instead of consumers on February 6. Kathy Kraninger, the Director of the Consumer Financial Protection Bureau (CFPB) announced the agency’s plan to repeal a rule aimed at stopping the payday lending debt trap. Promulgated by CFPB’s first director during the Obama Administration, the rule requires payday and other small-dollar lenders to make loans only after determining borrowers’ ability-to-repay. That now-suspended rule followed years of public hearings, rulemaking sessions, and research that ultimately found that triple-digit interest rates on loans were virtual debt traps for borrowers. Further, the people targeted for these predatory loans are those who could least afford interest or fees that exceeded the principal borrowed: the poor, the elderly, communities of color, and military veterans. The Bureau’s Notice of Proposed Rulemaking (NPRM) announced by the CFPB offers a two-part plan. The first is to needlessly delay the effective date of a common-sense consumer protection rule. The second is to rewrite and likely gut the substance of the rule itself. The likely cumulative effect will allow payday and other predatory lenders to continue to ply their wares and continue financially exploiting consumers of color. Reactions to CFPB’s announcement were as strong as they were plentiful. 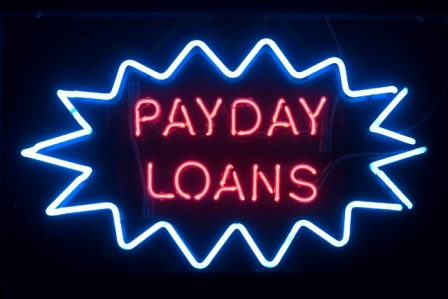 “With little accountability for their actions, payday lenders have long preyed upon communities of color and drained them of their hard-earned savings,” noted Hilary O. Shelton, NAACP’s Washington Bureau Director and Senior Vice President for Policy and Advocacy. “Stripping the key protections of this rule is a disservice to the public,” he added. Similar comments came from other civil rights organizations. When given the chance at the ballot box, Americans overwhelmingly vote to impose a 36 percent or less rate cap. Today, 16 states and the District of Columbia have these rate caps in place, providing strong protection from payday loan sharks. In remaining states – those without a rate cap – interest rates run as high as 460 percent in California, over 400 percent in Illinois and 662 percent in Texas. According to Rebecca Borne, a CRL Senior Policy Counsel, Kraninger’s announcement ignores five years’ worth of input from a broad group of stakeholders: faith leaders, veteran and military organizations, civil rights groups, consumer advocates and consumers across the country. Let us all hope and work for a different kind of emancipation: financial freedom.